The "Game of Thrones" Comic-Con panel covered everything from a smackdown with "Star Wars" fans to a wish that Jon Snow never died. With one episode of Season 7 already out, the “Game of Thrones” Comic-Con panel was bound to be a close-lipped affair. Twelve episodes remain overall, and no one is eager to have any of the few remaining moments spoiled. It took just one photo for the “Game of Thrones” fandom to find their new favorite couple in Westeros, and the first question of the panel was whether or not Brienne (Gwendoline Christie) appreciates the “creepy” affections of Tormund (Kristofer Hivju). But Christie went on to say she thinks Brienne does harbor a “secret enjoyment” of his peculiar advances. “Or does she like someone else?” Christie said. “I’ve always thought Brienne and Hodor would make a good couple,” Naim said. “I’ve always held a candle for that,” Christie said. Shortly after everyone tried to set up Brienne, Anderson was asked if there were any sparks between Grey Worm and Missandei. “Do you think Daenerys would approve?” Naim said. “Yeah! She’d do the wedding!” Anderson said. Alfie Allen Brought an Adorable Puppy with Him Because Why Not? The puppy’s name is Abby. She was very calm throughout the panel. Despite a rowdy crowd and lots of laughter on stage, Abby remained in Allen’s arms throughout the panel, sleeping soundly. Naim was curious if Turner thought Sansa was being manipulated by Littlefinger (Aiden Gillen) this season. The simple answer: No. 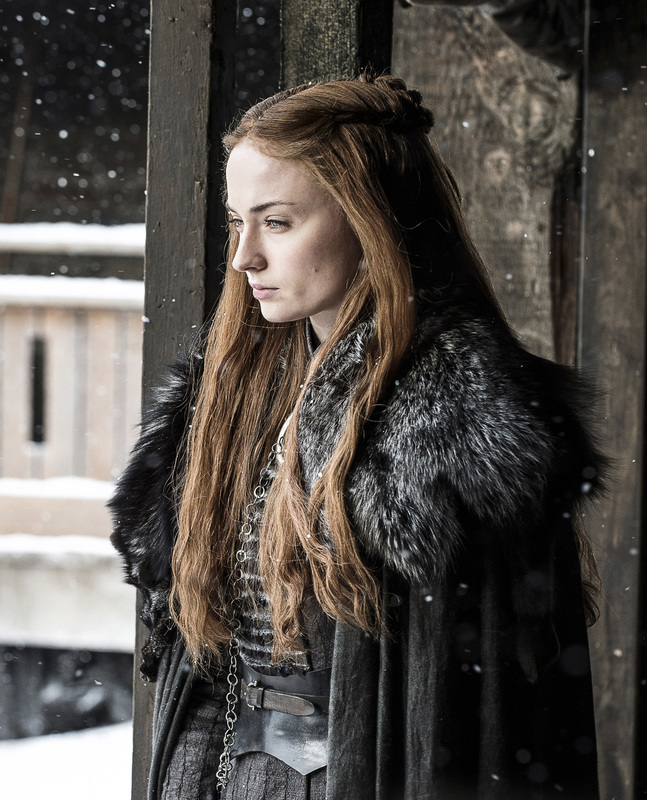 The longer answer: “As Sansa has grown and been a prison by all these master manipulators, she’s been silently learning and adapting at manipulating,” she said. “At this point, she’s just as good at playing the game as he is,” Turner said. In a similar regard, Turner said Sansa constantly has her guard up, no matter who she’s working with. “She trusts no one — family member or not — and I think that’s important when you play the game of thrones,” Turner said. The last question posed directly to Christie had to do with her upcoming role in the new “Star Wars” film, “The Last Jedi.” A fan wanted to know which fan base was “crazier,” and Christie gave a thoughtful answer. That being said, Christie is also “desperate” to star in a musical. “But can you sing?” Naim asked. “That women can be knights!” Christie said, to a warm round of applause. “The first thing that comes to mind is unlimited carbohydrates,” Turner said. 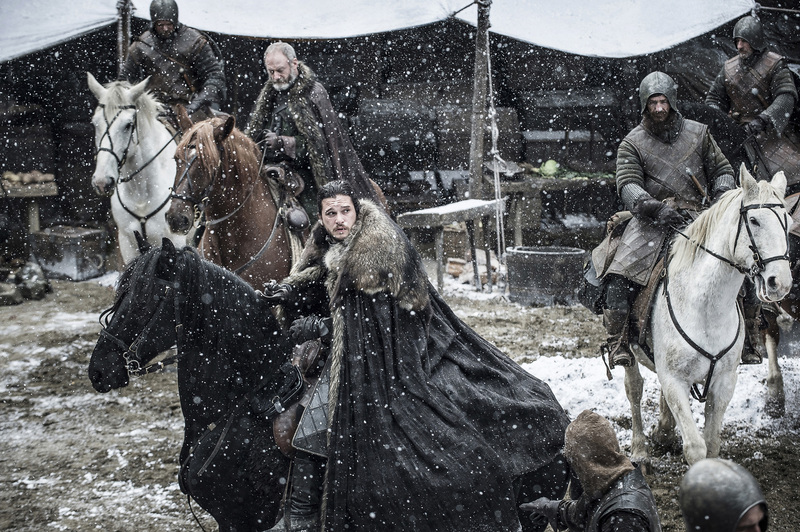 “Maesters have to clean out their own stinking messes,” Bradley said, referencing a certain montage from the Season 7 premiere. Meanwhile, Sophie Turner’s response to the same question was met with boos and groans from the crowd. “I just really loved working with Jack Gleason so much that I have to say Joffrey,” she said. It’s safe to say Turner is the only one who misses Joffrey.